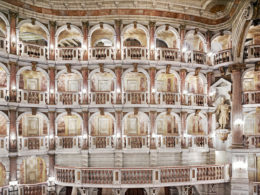 Dirimart is pleased to host Candida Höfer’s first solo exhibition in Turkey. 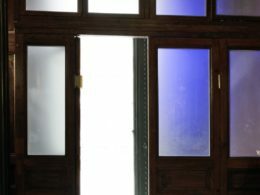 At two premises of Dirimart, the exhibition gathers the artist’s big-size interior photographs that mark her entire work, her abstract photographs that focus on architectural details, as well as works selected from her Turks in Germany and Turks in Turkey series that she produced at the beginning of her career. Having been extensively exhibited all around the world, these series will meet the Istanbul art scene for the first time. 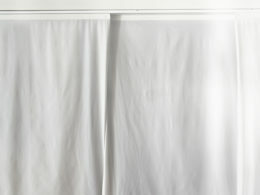 Höfer’s precise, minimalist, abstract photographs (2014–18) exhibited in Dirimart Dolapdere look at minute architectural details with a new focus. In those close-up abstract compositions shot from unexpected angles, focusing on the ontology of the object, color, and light, the artist displays her decisive and individual vision in reordering elements of these interiors and turning them into something almost unrecognizable. Through her lens, the images themselves appear to be sculpted, clean, almost paper-like. The selection from Turks in Germany and Turks in Turkey series exhibited in Dirimart Nişantaşı spans the period 1972–79. Those rare figurative photographs focusing on communities of people from Turkey living in Germany and Turkey point to Höfer’s interest in physical and social interactions of humans with space. In those photographs, she depicted people as individuals or communities, within their cultural contexts, in their social milieu, in everyday places such as cafes, parks, etc. 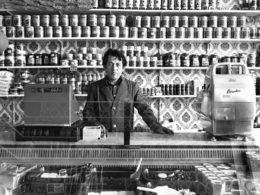 Those are authentic, genial, jarring, and solemn images exploring the presence of Turkish migrants in 1970’s Germany, a presence that was alternately erased and revealed in relationships with the dominant German culture. Those photographs were an alternative artistic representation at a time when guest workers, particularly the Turks, were silenced by infrequent or stereotypical depictions in mainstream German scholarship and media. Two projections of Höfer are also on view in Dirimart Nişantaşı. Projection of a series of photographs is an artistic expression used by the artist at exhibitions since her early stages pointing to her quest for a balance between the animate and static; the physical and non-physical. According to her, projected images create “a counterbalance to the weight that static wall pictures can assume in an exhibition. 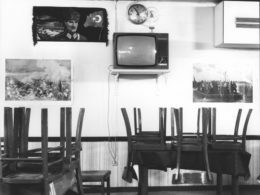 A projection prescribes the sequence of images—but can never completely dictate the viewer’s perception.” One of the projections exhibited in Dirimart Nişantaşı comprises of a range of images from Turks in Germany series, which compiles everyday scenes from the lives of Turkish “Gastarbeiter” in the 1970s in, among others, Cologne, Hamburg and Berlin. And some photographs selected from this series in black-white print format appear on gallery walls as an attempt to underline those scenes. The second projection embraces daily life photographs of people from a variety of cities taken by the artist during her tour in Turkey with her car. 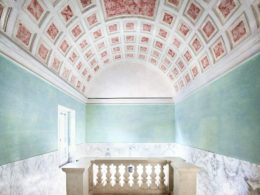 CANDIDA HÖFER (b. 1944, Eberswalde). From 1973 to 1982 she studied at Kunstakademie Düsseldorf, initially in the film class of Ole John, before becoming one of the first to move into the newly founded class of Bernd and Hilla Becher together with internationally acclaimed artists such as Andreas Gursky, Thomas Struth, Axel Hütte, and Thomas Ruff pertaining to the so-called Düsseldorf School. She conceives photography as a conceptual tool to archive portraits of places. Her works were extensively exhibited all around the world in solo exhibitions held in Basel and Bern Kunsthalle, Essen Museum Folkwang, Paris Musée du Louvre, Irish Museum of Modern Art, and Kunstmuseum Luzerne; and in group exhibitions held in MoMA, Guggenheim Bilbao, Documenta XI, and Kassel, to name few. In 2003, she represented Germany at the Venice Biennale (with Martin Kippenberger). Her works are represented in numerous public and private collections including the following institutions: Bibliothèque Nationale de France, Paris; Centre Pompidou, Paris; Deutsche Nationalbibliothek, Frankfurt; Portikus, Frankfurt; Kunsthaus Bregenz; Museum Folkwang, Essen; Power Plant, Toronto; Museum Ludwig, Cologne; DG Bank Collection; The J. Paul Getty Museum, Los Angeles; Kunsthalle Basel; Kunsthalle Bern; Museo Nacional Centro de Arte Reina Sofía, Madrid; Solomon R. Guggenheim Museum, New York, and Tate Modern, London. She lives and works in Cologne.